Prof. Jan W. Pilarczyk Zakopane, March 5, 2009. Prof. Marian Schneider Memorial prize in 2009. 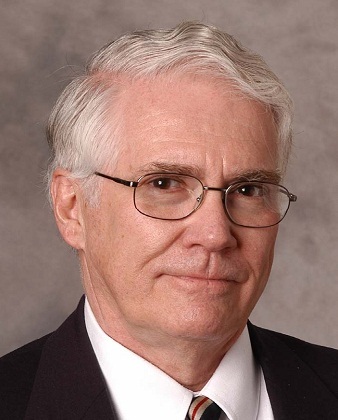 It gives me great pleasure to nominate Prof. Roger N. Wright from the United States of America for the Professor Marian Schneider Memorial prize, a widely known person, popular and respected for his knowledge. Prof. Roger N. Wright graduated from the Massachusetts Institute of Technology, Cambridge, (USA) in 1965 as a metallurgist. In January 1969 he graduated as a doctor in the field of metallurgy from the same Institute. In 1983 he was conferred the title of professor and during the years 1984 and 1986 held the post of dean in this faculty. During the years 1990-2001 was the director of a project “Technology of High Temperatures” and during the years 1993-1997 was in charge of a project: “Aluminium processing”. – Wire Forming Technology International (9 items). Prof. Roger N. Wright actively participates in organizing scientific meetings both domestic and international, taking part so far in over 270 such events. The candidate has served as consultant to a number of government and industrial institutions during his scientific duties. Till the end of the year 2008 he was a consultant for 98 institutions with regards to technological and management matters and for 48 institutions in the scope of legal matters and insurance. Some of these institutions are for example: United States Air Force Materials Laboratory, National Academy of Sciences, Bethlehem Steel Corporation, General Electric Aircraft Engines, and American Society for Metals. Prof. Wright is a promoter of 15 doctoral theses and 44 master theses. He has been conducting lecturers in 15 subjects in the field of materials engineering and metal plastic working, such as: Fundamentals of Materials Engineering; Metallurgy of Alloys; Strength of Materials; Mechanical Properties of Materials; Defects in Solid Bodies; Metal Deformation Processes. He is a member of many societies and scientific organizations, as well as editorial boards, as for example periodical Metallurgical Transactions. What is particularly important in the basic activity of Professor Roger N. Wright is continuing education of qualified technical personnel in the USA. Trainings organised by the candidate for many years in the USA and educating engineers in different fields of technology (particularly concerning wire and wire products) are contributing to the economic development of the USA. However, his great creative passion and dedication for educational work required creating a relevant basis. I am pleased to point out that the candidate worked out 5 programmes published on video cassettes and DVD on wire drawing engineering (known in the whole wire world and published by the Wire Association International). Participating quite often in conferences in the USA organized by the Wire Association International (WAI), I had the opportunity to meet many engineers of Polish background partaking in trainings and working in different companies in the USA. These persons emphasised Professor’s versatile knowledge and his unique ability of teaching complex issues. The candidate also participated in international conferences organized in Poland by the AGH University of Science and Technology in Cracow. All those who had the opportunity to meet Professor Wright personally were surely impressed with his knowledge and also his kindness and heartiness. Professor Roger N. Wright always found the time to help anyone who asked and therefore is widely popular and respected. The candidate worked particularly actively for many years on various posts in ASM International, The Metallurgical Society of AIME, Society of Manufacturing Engineers, American Society of Mechanical Engineers and The Wire Association International. Prof. Wright has chaired many committees in his career at the University. During the last 20 years he was the head of over twenty research projects – the value of some of them exceeded a million dollars. Researches were ordered by institutions such as: the New York State Energy Research and Development Authority, National Science Foundation, General Motors Corporation and the American Iron & Steel Institute. Prof. Wright was also a chairman of the Shenendehowa Central School–District for many years and also actively worked in the New York State School and Saratoga County School. The candidate accomplished many charity actions under the patronage of the United Methodists Church and other amateur and professional organisations. The Professor’s achievements are impressive in all his activity fields. In his laudation I would like to point out especially the candidate’s contribution in education and development of Polish scientific staff and joint research programs. During the years 1978-1979 Prof. Maciej Pietrzyk stayed at the Rensselaer Polytechnic Institute (RPI) in Troy as a “Visiting Scientist” and lately during the years 2002-2004 doctor Tomasz Śleboda who participated inter alia in a research project carried out in the Nanotechnology Centre. Between the years 1988 and 1991 professor Wojciech Misiołek stayed in the RPI and then joined the staff of the RPI and worked there till 1997 and was in charge of a program “Aluminium processing” together with professor Wright. Polish scientist apart from research had also the opportunity of teaching students. Common research with Professor Wright with the above mentioned scientists resulted in publishing several articles in renowned magazines. Professor Wright presented papers during four international conferences, organized in Poland and was a member of scientific and honourable committees. The candidate is also a fellow of the editorial board of Computer Methods in Materials Science magazine published by the AGH in Cracow, also cooperated in preparing common research projects, recommendation letters and reviews of books prepared by Polish scientists. Silver Certificate by the WAI (2003,2004). To conclude my speech I would like to make a statement that Prof. Roger N. Wright wholeheartedly deserves the Professor Marian Schneider Memorial award.